150 Billion Dollars, that is the estimated value of the Virtual Reality (VR) and Augmented Reality (AR) market according to Tim Merel of Digi Capital. The industry will likely disrupt the cell phone market, and revolutionize the internet of things (IoT). Imagine getting visual telemetry information from your car or from appliances, and being able to interface with them and control them with a simple gesture. It is no wonder why Apple’s newest cellphone, the Iphone SE is back to its original size of 4 inches. In the near future we won’t care about the size of the screen on our phone. cellphones, at least iPhones, will be leveraged with whatever AR device apple is working on, in the same way that the apple watch syncs with the iPhone. The phone does most of the processing to reduce weight of the head gear. It is also no wonder that Apple is currently getting most of the patents for AR/VR. AR/VR will be leveraged in many ways to enhance how we learn and do business. VR isn’t new. But then again what is? Alexander Graham Bell jointly invented fiber optics in 1880 with Charles Tainter. What’s new and innovate about Virtual Reality and Augmented Reality is how it will be implemented. The technology will leverage advances in HD resolution, social media, and the internet of things amongst other technologies. We have seen examples from high profile tech companies such as Microsoft, Facebook, and Sony using this technology. These firms and many more will be fighting heavily for that 150-billion-dollar market share. Alphabet and Apple have also shown lots of interest in this area from various patents filed and acquisitions of startups that have been developing the technology. For the value investor, now is the perfect chance to get in early or double down on some of these blue chip stocks before they begin to sky rocket again. As a technologist, VR/AR has me excited. There seems to be so much promise from this technology. Besides, my neck hurts from looking down at my cellphone so much so I look forward to a headset. As an investor, I have already seen significant gains based on my understanding of technology and by market analysis. I will be definitely looking to add more companies to my portfolio. From a shareholder’s perspective, I am glad I got in when I did with these firms, many of which will be frontrunners in this space, I also look forward to continued growth from companies that I currently own shares in, such as Facebook. With so much to be gained from this emerging technology, it is no wonders some of the biggest players are already positioned to compete in this space. There are 3 major tech companies that will come into this market swinging. Microsoft will have the HoloLens, Facebook has the Oculus Rift, and Sony will be releasing Sony VR. Below are some basic specifications of their products. *Note that FOV for HoloLens, MSFT doesn’t want us bumping into things so the FOV is limited. Not a lot of information is out officially concerning these products. There are also other competitors that will compete in this space, namely, Samsung, Apple, and Alphabet. Google glass wasn’t well received. Apple most like will not release anything in this space until the end of 2016 or early 2017. And Samsung Gear VR has been out since November 2015, and is powered by Oculus. I decided to highlight Microsoft, Facebook and Sony because I feel as though these companies will have the majority of the market share. Virtual Reality and Augmented Reality will add a significant amount of value to companies and change the way we all do business. Imagine how that will chance e-commerce for example. You will be able to virtually test out a product before you buy it online. VR can be leveraged in the education sector to further enhance learning in the classroom. Students will be able to learn in new and creative ways that will catapult the US education system. Companies will use VR/AR for on-the-job training to keep cost down on having expensive equipment to train on, while providing virtual experiences that will be applicable to real world activities. Doctors will be able to learn with virtual cadavers. Engineers will more effectively test designs that are too costly to produce. These designs will be tested in simulations that mimic real life before they are produced as prototype. These virtual prototypes will be used virtual to keep cost down. Web 3.0 will be enhanced with VR/AR. Devices will be connected to the world wide web and be controlled through gestures making the interface more natural and intuitive. People will begin to ditch their cellphones and put on a headset to become more immersed in the digital world we live in. Elements of this technology are already being used today. If you pay close attention you can see how many tech companies are slowly incorporating them in to our daily life. Microsoft’s demo of its HoloLens was mind blowing to say the least. 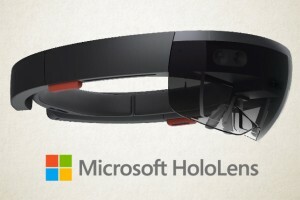 On April 2015, at the BUILD conference, we got a sneak preview of a lot of the features that the HoloLens may incorporate. Microsoft showcased a holographic start menu, that functions similarly to the traditional start menu. The menu allows users to customizes various virtual screens, opening popular applications such as skype, and checking emails all virtually. They also showed some recreational uses for the device by showing how you can play Minecraft with the HoloLens. 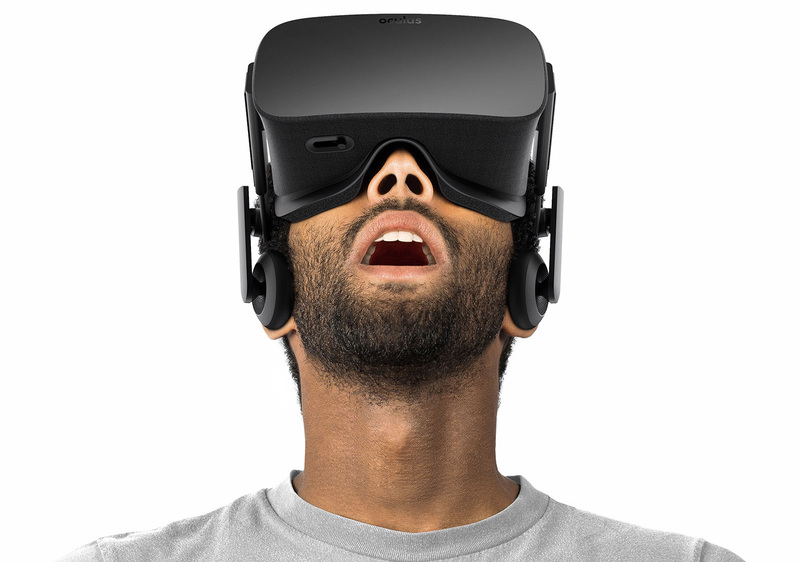 Facebook acquired Oculus for 2 Billion Dollars in 2014. Since then they have been looking at various way to monetize it other than the obvious. Facebook is the largest and most successful social network with 1.5 billion monthly active users. Most of their revenue comes from advertisement, so think about how they can use virtual reality for advertisement. Typically, I hate ads, but some of Facebooks ads are so interesting at times I find myself clicking on something that later I found out was “sponsored”. Facebook 360 video is a great example of how they are already thinking ahead to Augmented and Virtual Reality. 360 Videos allow Facebook users to observe an environment by moving and tilting the users phone. It really makes you become immersed in the experience and I look forward to seeing how Oculus Rift will leverage 360 videos. Sony’s demo of Project Morpheus as it was called, got me very excited as a gamer. The gaming industry is a 100-billion-dollar market worldwide. On January of this year. Sony VR was showcased at CES in Las Vegas. Microsoft will focus on business usage for of their devices. This will include and is not limited to products and service that you are already familiar with from Microsoft, such as Outlook, Office, SharePoint, Sway, PowerPoint ect. I also believe they will make the logical step of add Xbox One functions. This is so that they can continue compete in the gaming space with Sony. Facebook will focus on social experiences and advertisement. Facebook will find new and innovative was to allow its users to interact with their friends on Facebook. The 360 Videos have already shown to be interesting and will be leveraged with Oculus Rift. Most importantly, Facebook will use the technology to create a new advertising experience to compete with Alphabet as it has been doing. Facebooks focus on Facebook Videos has already had some success with completing with YouTube. Alphabet acquired a startup called Magic leap in 2014 for 542 million dollars. This shows their interest in the technology and I am sure they will be putting that money to good use. Magic leap focuses on Augmented Reality. I am very sure they will be using this for innovative ads as well to compete in this space. 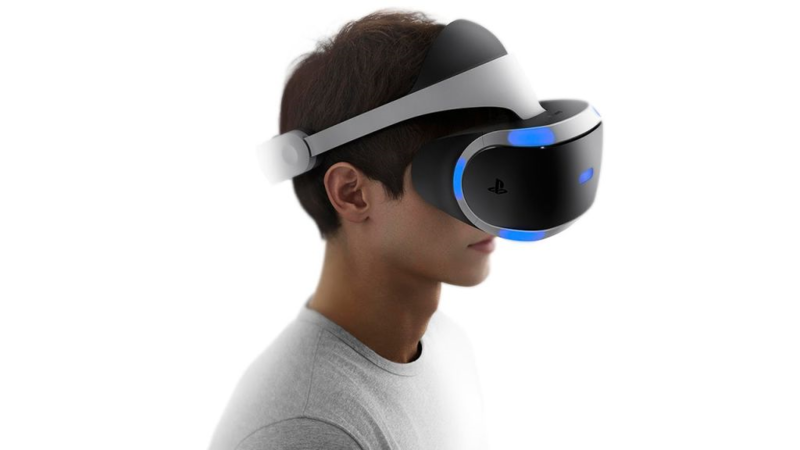 Sony will have unique top quality content for Sony VR. This is from Sony Pictures and PS4 games. Sony PS4 has already sold over 35 million units worldwide, According to Sony CEO, Kaz Hirai. Basically, the current PlayStation 4 has grown faster than any other PlayStation. With its popularity and loyal customer base, Sony will be in a great position to market towards a base it has already created as well as drawn in new customers. It is also worth mentioning that Apple is acquiring a lot of the Intellectual Property for VR/AR. Patentlyapple.com highlights various patents that apple has been granted in this space. Maybe iTunes subscribers will be able to attend concerts virtually. I am also looking forward to seeing what SIRI actually looks like. These technologies will be beneficial to everyone. It will generate billions for shareholders. This is the perfect time to get into these stocks before they blast off again. The stocks have already been beat pretty badly this year because of various factors in the world economy such as oil prices, slowdown in china and speculation of monetary policy from the federal reserve. The market has already been recovering from these influences. Table shows some data to consider. Microsoft: Microsoft’s Price/Earnings is a little higher than the average P/E for the sector. But the entire sector has been beat down a lot this year. The firm has an upside of around 7% from its 52 week high. Buying now would be a great idea because that is what I will be doing but I am not expecting to see strong growth until around Q2 FY2017. I also believe there will continue be a lot of volatility. Facebook: Facebooks P/E is very high considering the average for the tech sector is 25. Facebook stock is close to its 52-week high. This makes it extremely risky but I still consider this stock undervalued. I considered it undervalued when I purchased a bunch of shares in 2014 and I still consider it undervalued now. I will be purchasing more of this stock this year. Sony: Sony has been doing a lot better since making the necessary changes for growth within its firm. From spinning off its TV business in 2014 and spinning off its semiconductor business in 2015, Sony is headed in the right direction. Sony is focusing on its core. I purchased Sony when it was 16 dollars a share and have experienced some excellent gains. Regrettably I sold too early. I let other convince me that the stock was running out of steam. Sony has lots of content from movie and games and with it VR headset coming out this October, Sony be giving Netflix and Microsoft a run for their money. The overall stock market in 2016 will continue to be volatile. Monetary policy from Japan’s central bank will also play a factor with this stock. I will be purchasing this one on the dip in small increments overtime. Apple: Apple has a P/E that is way below average for the tech sector. Apple also has a 25% upside from its 52 week high. I will be purchasing more and more of this stock through the year. I see it getting back to its 52 week high around Q3 FY2016. I don’t believe we will hear anything about apple AR/VR until 2017. Out of all the companies I have profiled apple is the most attractive. I have continued to purchased Apple stock since I started investing in 2013. I am a value investor and I typically buy for the long haul. This will continue with Apple. After all it is the wealthiest company in the world. Alphabet: Not sure why I haven’t every bought Alphabet stock. I think I may have some biases that prevent me from purchasing it. But if we look at the fundamentals the P/E is a little high and the stock is very close to its 52 week high. This is similar to Facebook; the only issue is that Facebook continues to take market share from Alphabet. This makes it a little unattractive for me to purchase. I might buy this stock for hedging purposes. I’m sure Alphabet has many products they may be released within the next couple years. The quote is so high that I will buy cautiously overtime to get in before 2017-2018, when I think the tech industry stock will begin to sky rocket. As a Technologist, I have always been wondering when and how the Internet of Things would really take off. 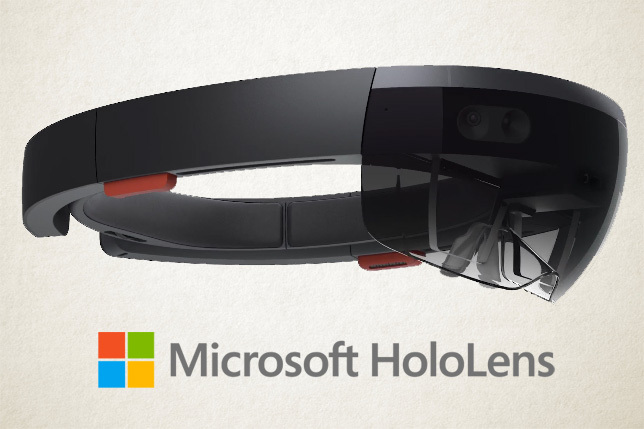 When I observed the HoloLens for the first time, I was like, that’s it. It only makes sense that we will interact with our connected devices in the same way we interact with them physically. Gesturing is natural for users. Command and control of these device though cellphones are cumbersome and will eventually be phased out. 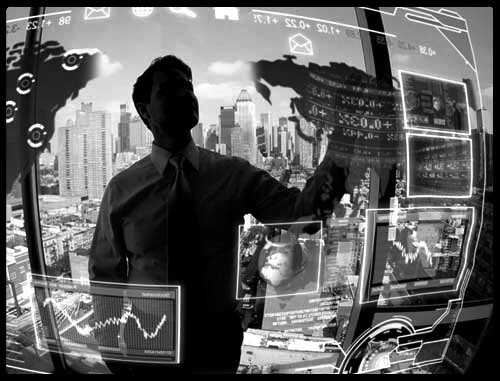 As an Investor, these technologies look promising for the next big tech boom. That is why a lot of these smaller companies, who are developing some of these technologies are being acquired by much larger firms. I will stick to large cap tech stocks for the most part. I am sure there will be a number IPOs around the next couple of years that I will watch intensely. If any of them look attractive to me I will purchase it and likely write and article about the company. As a shareholder, I am excited about my current position with some of these firms. I will continue to purchase more or double down on my position because we will be seeing a lot of growth in the next couple of years. This will be in a relatively short span of time. It’s going to be a very interesting in the next couple of years so invest now and don’t miss the bus.